Few figures in Argentine history have been as influential or as controversial. Everyone seems to have an opinion about Julio Argentino Roca. Born in 1843 in Tucumán, his military career began at an early age. Roca enlisted when only 15 years old & fought in several decisive battles during the years of national organization. Under the presidency of Bartolomé Mitre, Roca fought in the War of the Triple Alliance & later proved his loyalty to the nation during an attempted coup. Thanks to this action, President Avellaneda promoted Roca to General in his early 30s. He also appointed Roca as his Minister of War after the death of Adolfo Alsina. What a quick rise to power. 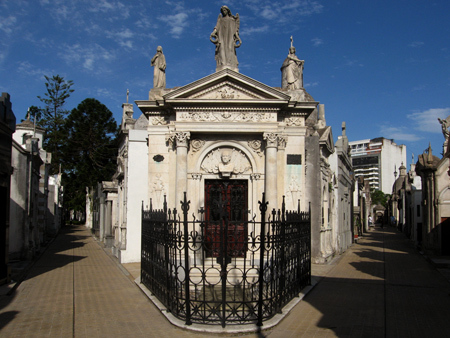 Once in office, Roca settled another important issue: Buenos Aires became the official capital of Argentina. And not to leave controversy behind, Roca promoted adoption of a series of laws to take several functions out of the hands of the Catholic church. With Sarmiento as Director of the National Board of Education, primary school became free & public, no longer dependent on the church. Acceptance of marriage by civil service also caused some conflict with Rome. 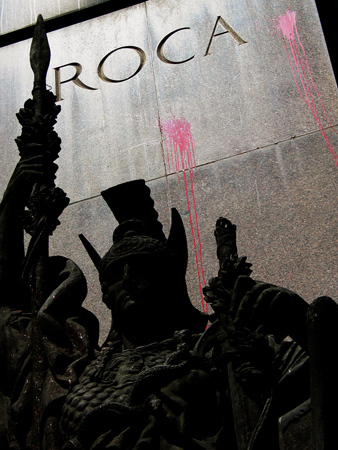 In economics, Roca promoted the export of raw materials & large amounts of foreign investment. After Roca’s term ended in 1886, he had no desire to retire. 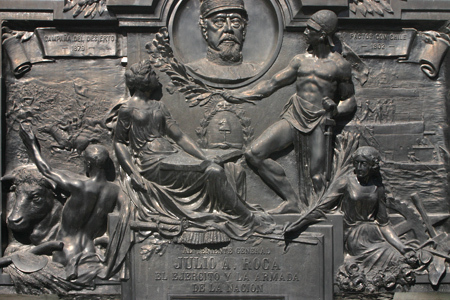 Serving several terms as Senator, Roca became one of the key figures behind the scenes during the 1890 Revolution. Always maintaining important connections & positions of power, Roca attained the presidency for a second term in 1898. During this time, Minister of War Pablo Riccheri instituted obligatory military service & Navy Minister Comodoro Rivadavia helped Roca negotiate peace with Chile over border disputes in 1902. That same year, Luis María Drago published his influential doctrine while serving as Minister of Foreign Relations. Roca’s later years are complex & raise quite a few questions. Serving as ambassador to Brazil for President Sáenz Peña, Roca spent much time away from Argentina. He was oddly absent from centennial celebrations in 1910. In 1914 while on one of his estates in Córdoba province, Roca passed away suddenly after a coughing fit at the age of 71. 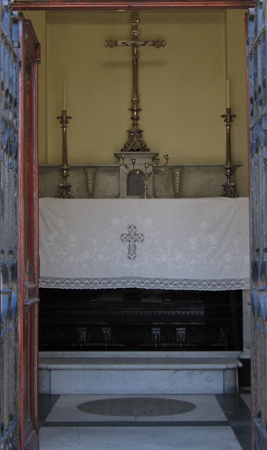 The tomb was declared a National Historic Monument in 1946. There is no doubt that Roca made some of the most important decisions in Argentina’s history, although by what some consider questionable methods. 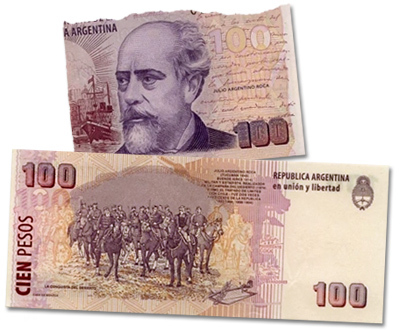 But his legacy can’t be escaped—Roca’s Conquest of the Desert decorates the reverse side of the old 100 peso bill! Interior photo courtesy of Mike De Ghetto. Thanks! You would expect Roca’s tomb to be something more.. grand, I don’t know. Thanks very much for the correction. I went to Puerto Madryn for the long weekend & just now getting back. What I like most about Roca’s tomb is that it is understated… but the sheer number of donated plaques which cover both sides really grabs your attention. Roca’s son is probably buried there as well, but I’d have to check records in Administration & write a completely separate post for him. Saludos!